Amongst the most popular technological trends, one technology that has seen massive advancement is Artificial Intelligence. Artificial Intelligence is being used in every sector, from big companies to social media platforms, everyone is incorporating it and Machine Learning to make their work easy. Not just this, humans make use of AI tools in their daily life. Remember SIRI, Voice Assistant? These are some popular and common examples where AI is turning all stones to make users life simple and easy. Machine Learning and AI are developing as a means to pave a path for a better and advanced future. We all feel the need of a spell-checker or a grammar correcting tool to improvise any written text. Grammarly is a power-packed AI tool that makes any written text look perfect. With perfect grammar, an advanced vocab and amazing styling capabilities, it transforms a poorly written piece of text to a well formatted, rich grammar and crisp data. Grammarly makes it possible with AI tools that make it easy to convert, detect and correct all kinds of grammatical errors and poorly structured text. Editors to bloggers to students, everyone can benefit from this amazing tool. Grammarly ensures that you never feel the need of a professional proofreader to have your data written in a proper manner. Grammarly comes in two versions, namely free and paid. While free version can perform functions like spell check, punctuation correction, proper structuring of data etc., paid version comes with advanced features such as plagiarism checker. Every sales company aims at increasing revenue over time, however, accomplishing it is not easy. Revenue generation demands building relationships with customers. Sadly, there are not many options available that help sales such as relationship building. Once such amazing relationship building tool that businesses can rely on is Nudge. 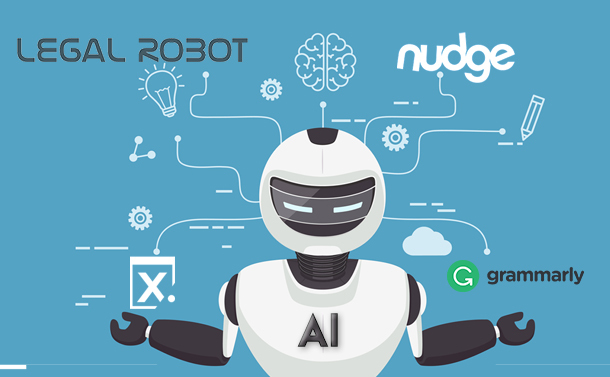 Nudge uses Artificial Intelligence that helps sales by giving an insight to their target audiences. Not just this, it also provides information like updates on social media and source data related to the target audience. It does so by filtering all the information available on the web about their customers. It is not surprising that any human being on a given day cannot schedule innumerable meeting manually. And anyone who has experienced the difficulty involved in it, will either not do this task ever after or will try to find a solution to it. Built on the same problem is another AI tool called Amy. Developed by x.ai, Amy is an autonomous chatbot assistant that aims at helping business persons by managing their busy schedules that include meetings, client interactions as well as with investors and workers. Having its assistance, not only makes life easy, but also saves a lot of time. Amy just needs to be informed about the meeting and it will schedule everything for you. From time, place and everything else, Amy will cater all other aspects and will inform you about the same. With Amy, you do not have to install anything, simply keep amy@x.ai or /amy in Slack and leave the rest to it. It comes in two versions, namely free and paid. The free version allows you to schedule 5 meetings monthly, whereas the paid version schedules unlimited number of meetings. It is easy to use and quick to access. Learn More: How Is Artificial Intelligence Transforming Mobile Banking? Legal Robot is another amazing Artificial Intelligence tool that makes understanding legal agreements easy. Using Legal Robot, you can easily eliminate traditional legal procedures and enable easy contact with automated intelligent assistants. Accumulating legal data from ample cases and different situations, this AI tools comes with a set of high-level legal standards. Based on Artificial Intelligence platform, it ensures that even layman users benefit from it. Legal Robot simplifies technical legal data into a simple language easily understood by naïve users. Eliminate the need to take call notes. Don’t strain your brain remembering official calls to take note. This amazing tool with the help of Artificial Intelligence takes call notes automatically. Simply call through the Tetra app, tag all the important instances of the call and have a detailed synopsis in your hand. Tetra does this by using speech recognition and widespread language converting algorithms. While AI has marked its war in every sector, there are tools that can easily eliminate the frustration and irritation that come free with the amount of brainstorming one must go through in order to accomplish difficult and time-consuming tasks. This article mainly aims at describing some of the AI tools you can rely on. These amazing tools not only save you time, but also simplify the complexities of life. We this blog was useful to you. Do share your feedback in the comments section below!